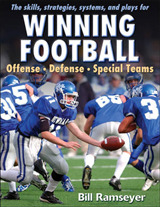 Baseball may have been America's most popular sport, until the early 1970s when football surpassed it, but some form of football has been played on American soil since the colonial era. Today, having completely permeated American culture, football holds a year-round spectator fascination like no other team sport does. 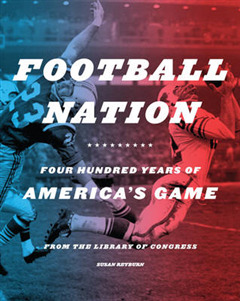 Showcasing how Americans have been football mad for centuries, even before the game took its modern form, Football Nation explores football's wide-ranging presence in American life. 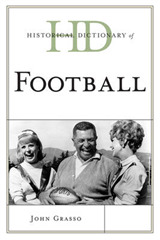 Drawing from the immense image collection of the Library of Congress, the book offers a comprehensive visual history of football in America, starting with its origins in colonial times, through its modernisation in the college and professional leagues, to its rise to the national phenomenon it has become today. Images include illustrations from the 1700s, the first football cards issued, game programs, early panoramic photographs, cartoons, film stills, advertising, sheet music, magazine covers, posters, maps and ephemera. 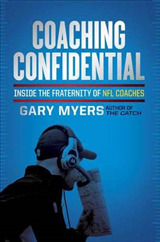 Through a fast-paced narrative text amply supplemented with sidebars, feature pieces, image galleries and extended captions, the book highlights the game's unique American identity as expressed in tradition, notable figures, fan participation, mass media, tailgate cuisine and much more. 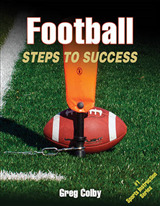 Quite simply, the book reveals how the United States became the Football Nation.